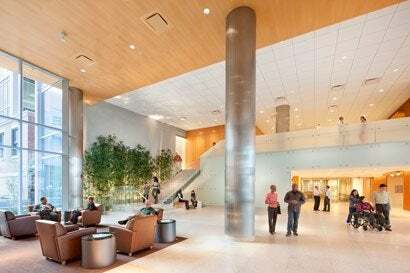 The Section of Geriatrics at Boston University and Boston Medical Center is an interdisciplinary group of healthcare professionals whose mission is to address the special needs of the diverse geriatric populations of the metro-Boston area. We are committed to delivering high-quality, comprehensive and cutting-edge care to the older adult in a variety of settings, and to providing innovative leadership in geriatric education, scholarship, patient advocacy and community outreach. As people age, their medical care can become more and more complex. 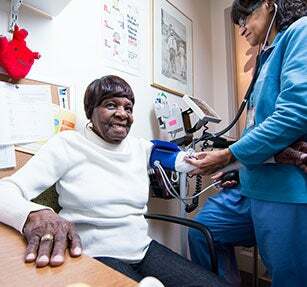 At Boston Medical Center, the Geriatrics Program is devoted to the unique healthcare needs of those 70 and older whether they are mobile, homebound, or in a nursing home. Care is provided in a coordinated, team approach aimed at helping preserve the greatest degree of independence possible. The program’s doctors, nurses, case managers, nurse practitioners and social workers have geriatrics skills and experience to meet a patient’s primary care needs, even if transition from one setting to another becomes necessary.